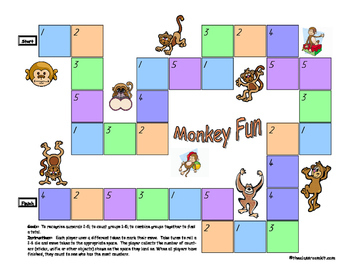 A quick, fun game for younger learners, where players collect tokens (from 1-5) on each move. 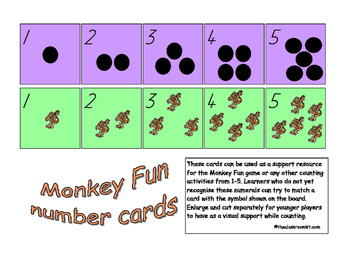 Players who don't yet recognise the numerals 1-5 are supported with visual cards showing the quantity matching the numeral. Learners who do not recognise numerals or have one to one correspondence must be supported by a buddy or adult to collect the correct number of tokens and to count aloud at the end to find their total. Tokens and dice are not included. 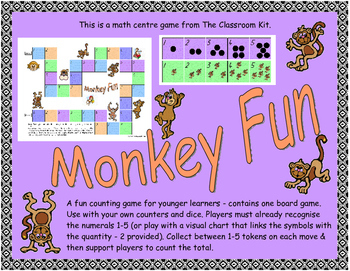 *This game is also suitable for older students with learning disabilities.